Media Converter Fast Ethernet PoE Single Mode 1310nm 20km SC. 10/100Mbps copper to 100Mbps fiber. A low-cost, economical solution for powering PoE devices over the same CATx link used for data communications. 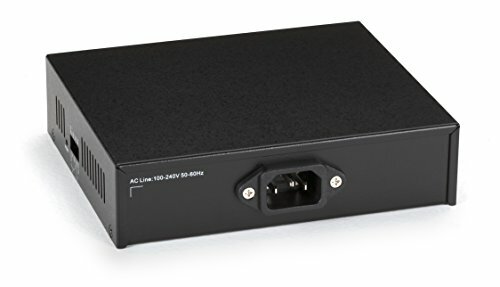 Powered device (PD) signature sending detects when a PoE device is connected. Supports 802.3x flow control on full-duplex ports and backpressure on 10BASE-T/100BASE-TX half-duplex ports.